Imagine yourself living in this cozy 3 Bedroom Home For Sale in Foley Alabama! When looking in Baldwin County its really hard to find a home that is in great condition and under $150,000. When the current sellers purchased 9035 Sherman Rd, they fell in love with the spacious bedrooms and floor plan. They said, “Having nothing in front of the house but an open field made for a lovely view. The fact that it’s still in Foley, but far enough from Highway 59 that we don’t see any of the crazy traffic was a huge plus as well.” A lot of buyers buy homes based on the school district and one of the reasons why they bought this home was because it was in the Magnolia School district for elementary and then Foley Middle and High school. I asked them what are their top 5-10 favorite things about this home and they said “I love my granite counter tops! Super durable, and a gorgeous shade of black with little flecks of silver all throughout. The large master bedroom with a vaulted ceiling felt so luxurious. And we could rearrange our room any way we wanted and it worked. At first I didn’t like the single window in the living room – but I grew to appreciate the fact that I could pretty much put the TV anywhere and there wouldn’t be a glare on the screen. ​Most of the time the family would spend their time in the living room playing with kids, watching TV, entertaining etc. It is the center of the home literally and figuratively. 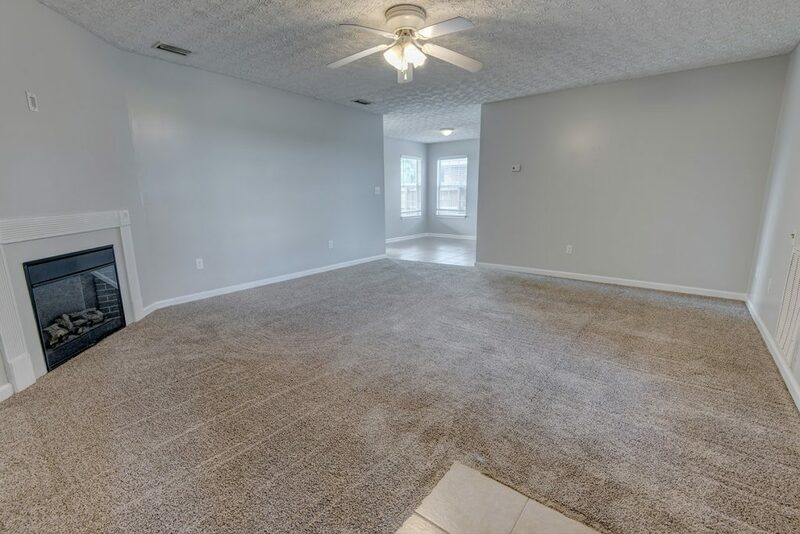 Since owning the home, they installed a fence, replaced the blinds, added flooring to the attic, and just freshly panted the whole interior “Repose Grey” by Sherwin Williams. It turned out great and it’s such a great color it doesn’t pull any blues, purples, or other colors. One of the things they loved most about the location is being close to Walmart, Highway 59, the beach (only about 35 min away) and all the shopping and restaurants you could ask for! 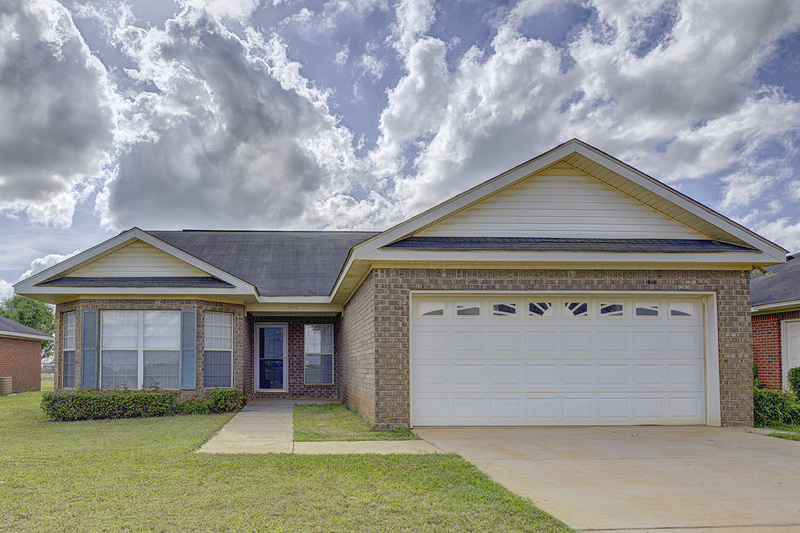 Tour this 3 Bedroom Home For Sale in Foley Alabama with the Jason Will Real Estate Team 251-866-6464.